Originally from the Pennsylvania Dutch country of Reading, Liz attended Penn Hall Preparatory School in Chambersburg, PA. She received her B.S. in Human Ecology from Cornell University and is a member of the Delta Gamma Sorority. She won the coveted Rice Speaking Contest. After graduation Liz became director of the Home Economics Department of Metropolitan Edison Company in Easton, PA. In June of 1958 she married Herbert Gladstone Hopwood, Jr, son of Admiral G. Hopwood, a four-star admiral who commanded the Pacific Fleet. During his five years of training, internship and four years of residency in both OB/GYN and surgery, the couple lived in Oakland, CA, Great Lakes, IL and Bethesda, MD. Dr. Hopwood started his private practice in OB/GYN in Arlington, VA. He died in 1999 after delivering over 10,000 babies. Liz is an eager volunteer. She is a sustaining member of the Junior League, Medical Alliance and Guild of Professional Tour Guides. She started a Carl Orff Music School for Children, the first in the Washington, D.C. area. Liz volunteered at WAMU-FM working with Diane Rehm. At that time, she had her own show, “Car Wars.” Serving on the board of WAMU-FM, Liz chaired their on-air fund raising for several years and many other benefits. Until moving to Florida, she appeared in her own TV show, “Not For Seniors Only.” She was invited to join The Capitol Speakers Club of the greater metropolitan area of Washington, D.C. She also served on the board of the Debutante Committee that presented the “Holly Ball” annually. JoAnne and Oren Lewis’ daughter, Claire, and Liz’s daughter were debs together. Professionally, Liz was guide staff director for Washington, Inc., the top destination management company in Washington which was started by Ellen Proxmire, wife of late Senator Proxmire, and Gretchen Poston, former Social Secretary at the White House. Liz and Milt Drewer, her fiance, call Fort Lauderdale “home,” but still spend summers in Arlington, VA, where Liz teaches water fitness at Washington Golf and Country Club. 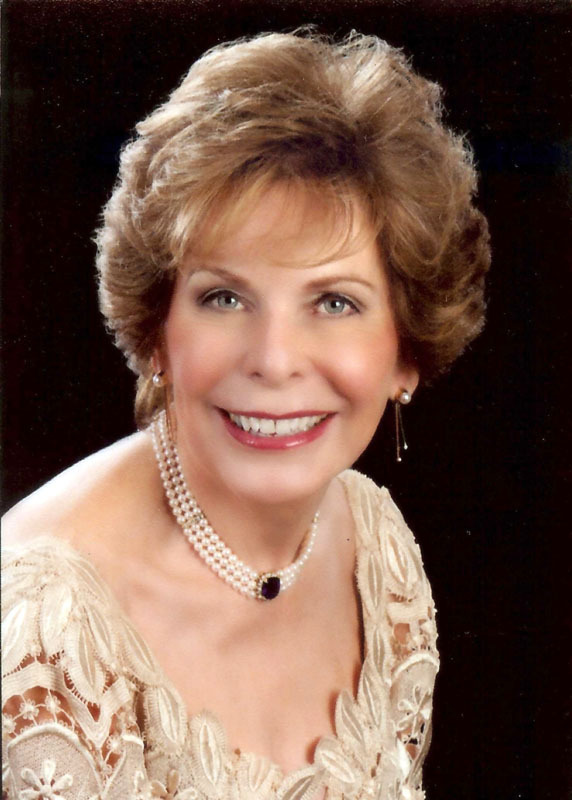 In Fort Lauderdale, Liz serves on the board of The Opera Society as well as the Symphony of the Americas Society. She is a member of the Lighthouse Point Chapter of the DAR Historical Society of Fort Lauderdale, Cystic Fibrosis, 1000+ Club, and Royal Dames of Cancer Research. Liz’s family has five generations of opera lovers! The love of opera came from her grandmother and continues presently to Liz’s grandchildren. Liz has three children, Herbert G. Hopwood III, Elizabeth Jean Marty and Matthew A. Hopwood, and six grandchildren.